Slater & Gordon announced another sliver of good news, with the Australian Securities and Investment Commission (ASIC) deciding to take no further action following an investigation into whether the firm’s accounts had been falsified. The listed law firm revealed in December that the ASIC was seeking to determine whether financial records and accounts between 1 December 2014 and 29 September 2015 were deliberately falsified or manipulated and whether the company or any of its officers had committed offences. Its share price enjoyed a 13% bounce on the news, albeit at its extremely low level, and closed on 12.5c. Earlier this month, the firm told investors that its new lenders – after its original banks had sold off their debt – “fully intend to implement a solvent restructure of the company”. In other news about alternative business structures (ABSs), Animo Associates – a London-based corporate services business whose offering includes accountancy and tax advice – has been granted a licence for a law firm, Animo Legal. 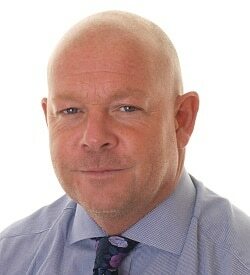 The firm’s focus is on corporate and commercial matters and immigration, and is headed by Ian Cook, who has joined from London solicitors HCLS. In a statement, Animo Associates said the ABS licence “will enable the Animo Group to strengthen our relationships with clients and provide a wider range of services to businesses and individuals”. 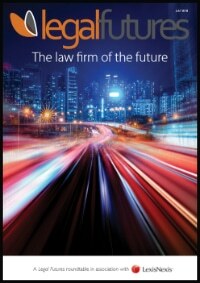 Crawford & Company Legal Services – the ABS launched last year by the eponymous US loss adjusting giant – is scaling up quickly, hiring Paul McGrath, formerly of now defunct firm Total Law, to head up its large loss department, former Weightmans partner David Ingleson as head of fraud for motor and liability, and Simon Fisher, previously head of costs at DWF in Liverpool, to head up the costs department. Manchester-based Harrington Brooks, one of the UK’s leading personal insolvency providers, has been granted full authorisation by the Financial Conduct Authority (FCA). Harrington is part of the One Advice Group, which also owns ABS OpenDoor (formerly known as Castle Keep Law). The law firm was initially created to enable Harrington Brooks to provide legal support and services free, or at a competitive price, to existing customers, but it is now expanding to serve customers outside the group. The FCA took over the regulation of consumer credit firms in April 2014 from the Office of Fair Trading. The new process for authorisation has been designed to be more rigorous than previously. As part of the new regime, debt management firms had to meet a set of required conditions, including: fair and transparent fees, the provision of suitable advice, fully trained employees, appropriate systems and controls to protect client money, and a sustainable business model, that was focused on getting the best outcomes for the customer. Finally, Countrywide plc – the owner of Countrywide Property Lawyers – reported a 5% fall in the number of conveyances handled in 2016, to 33,053, with a similar fall in income to just over £30m, although its gross margin increased from 37% to 43%. There was also a decline in the proportion of property sales within the group that led to conveyancing work for the business, from 51.5% to 48.6%. The company told investors: “The in-house conveyancing business delivered 69% (2015: 68%) of the completions through its three property law centres; the remainder are outsourced to panel firms. “In view of the reduced volumes and excess capacity in our centres, the decision was taken to close the smallest centre in Bridgend, removing £1.2 million from the cost base and reducing our spare capacity in the remaining centres. This process will be completed in Q1 2017. The fall in income reflected a volatile property market following last year’s referendum, and the company as a whole saw its income increase by just £3.3m in 2016 to £737m, with EBITDA down 26% to £83.5m and statutory operating profit falling 46%.